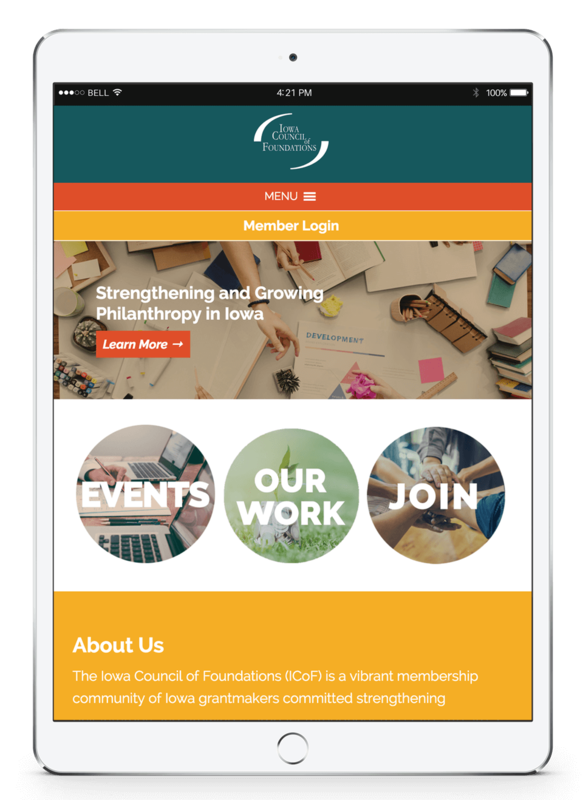 The Iowa Council of Foundations serves the Community Foundations and its members across the state of Iowa. The organization provides resources and education for each community to grow and serve. 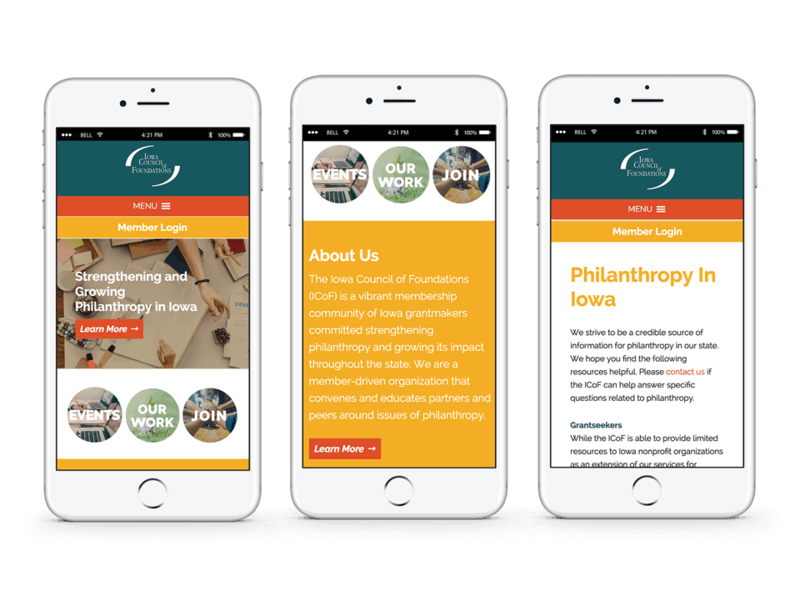 The council was eager to provide information to its members in a way that was organized and easy, and approached us with the need for a new web presence which included the consolidation of information as well as easy access to member materials. The need for a members only area was unique in that it included two levels of access and an ability to assign access when creating new users. 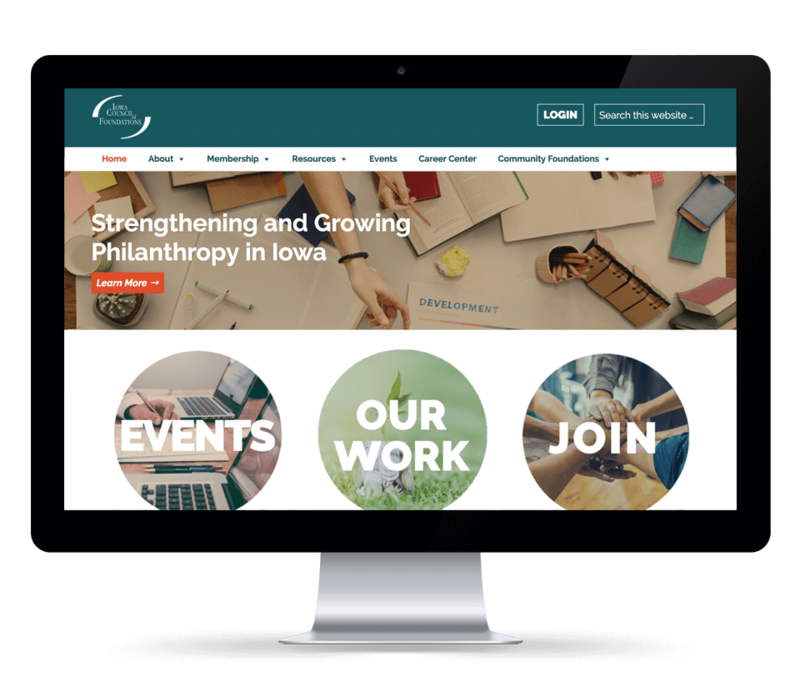 The new website for the Iowa Council of Foundations boasts a plethora of useful information easily accessible through it’s newly organized stream of content. The members only area provides exclusive access to content at two member levels. Content is available with a simple login and users are created easily by the Council staff. The new website also includes an events calendar which provides timely notification of upcoming activities provided by the Council.